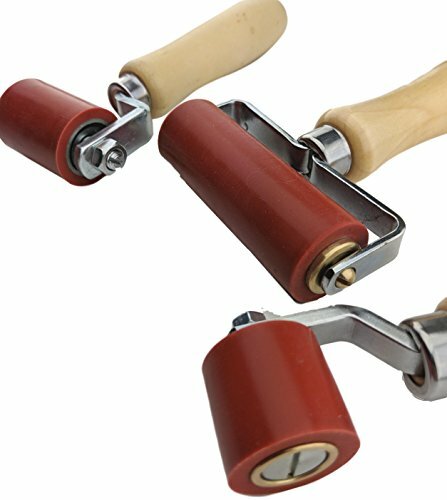 This Commercial Grade Solid Rubber Seam Roller is amazing for everything. Works for EPDM roofs, hot heat welding, vinyl transfers, car wraps, wallpaper, string, grass cloth, embossed wall covering. This is the best roller you will ever own. Press Decals on Walls or Cars With ease, peel and seal, Amazing for wall vinyl! Heavy Duty Light Weight Roller EPDM Seams, Butyl tape, professional audio automotive insulation car sound deadener, saddle making, leather work, window tinting, glue joints and more! If you have any questions about this product by NightHawk, contact us by completing and submitting the form below. If you are looking for a specif part number, please include it with your message.